Do You Think You Have a Water Pipe Leak? Is your water bill for the last month seem to be much higher than usual, but you are certain that your family has not increased your water consumption at all, at least not more than what you usually consume? Do you often see mysterious puddles form around the house and you cannot find where the water came from? If you answered ‘yes’ then you probably have a couple of water leak problems and you need to address them as soon as you can. If you live in Scottsdale, Arizona or in any of the nearby areas, you only need to call Diamondback Plumbing and we will sort out your water leak problems in no time. If you suspect that there is a leak in the premises, but you cannot find out exactly where it is, you can rest assured that we can. Our company provides three main services with regards to leak detection: water pipe leak detection, slab leak detection and sewer line leak detection. 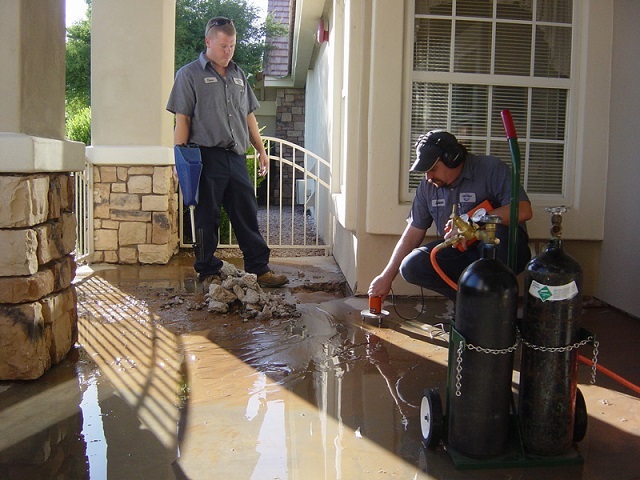 Our highly-trained and helpful staff will be more than willing to provide you with any kind of plumbing services, regardless if the problem is in a residential home or an office building, Diamondback Plumbing of Scottsdale can help. If you constantly hear an annoying dripping noise in certain areas of your home, or if you actually hear flowing water even when all the faucets in the house are turned off, then you may have a water pipe leak problem. Other signs that you need to look out for include: a startling increase on your monthly water bill, puddles mysteriously appearing on the floor, and a musty odor in the entire house. If you ignore the pipe leaks, they will get worse over time. Diamondback Plumbing can help you find the exact location of the leak and we will also repair the issues as soon as we find them. Our local team in Scottsdale is available 24/7 so you can give us a call anytime. 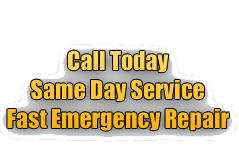 We will help you detect the cause of the pipe leak and fix it within the day. Another kind of water leak comes from the concrete slabs of your home’s foundation. Unlike the other kinds of water leaks, you actually need to fix this one immediately as the repercussions for not doing so are quite serious. The signs of slab leaks are basically the same as the ones for common pipe leaks, but they manifest in the basement or crawlspace of the house. Determining the exact cause of slab leaks are much more difficult compared to common pipe leaks and detection often requires specialized equipment, which Diamondback Plumbing of Scottsdale has. Our high-trained and experienced technicians can help you find the sources of your slab leak and can help you repair them. The sewer lines, just like the normal plumbing in your home or office building, can sometimes spring a leak. Grease and dirt build up – All of the grease and other nasty stuff that you push down the drain would usually build up inside the sewer pipes going out of your home and into the sewer system of the community. When the buildup gets too big that it actually prevents the raw sewage coming from your house to flow freely into the sewer lines of the city which can turn into a sewer line leak. Tree roots – When you have trees on your front yard, their roots can sometimes be the cause of sewer pipe damage. When a tree’s root system gets too big, they will wrap around the sewer pipe, and the roots will apply constant pressure on it until it eventually fails. Whatever kind of leak you may encounter in your house or business, Diamondback Plumbing of Scottsdale will be more than willing to provide our expert help. Do not wait until the leaks get out of hand and causes thousands of dollars in damage, call Diamondback Plumbing today at (480) 970-0756 and let us assist you. All our work is always completed per UPC/IRC code.